Tucker Herman showing distress when his kidneys were failing. This expression should not be interpreted as a smile. Some of our older WAG dogs are entering a time of life when their kidneys will start failing. In some dogs this is a slow process and feeding a special diet can extend the dog’s life. So take heart if your dog is heading down this path; there is a simple — if labor intensive — dietary fix. How do I know if my dog might have kidney disease? The first symptom is excessive drinking and urination. The urine looks pale. This means that the kidney is no longer able to reabsorb water after filtering waste. So the dog compensates by drinking more water. Vets call this “compensating kidney disease”, the early stage of renal failure. Even though the dog may be holding his own, by the time he exhibits these symptoms, the kidneys are already 70% impaired. The good news is, the dog can live with this for a while, even more than a year, if you change their diet. And be sure to allow free access to water. Some patients plateau for many months; their kidneys will never improve but at least the condition has stabilized for the time being. If you observe these symptoms, your vet will perform a blood and urine analysis. He will tell you the normal ranges for creatinine and BUN—the two basic measures of kidney function — and then explain where your dog stands on the range. The culprit in kidney failure is phosphorous. Vets used to say that high protein was the problem and they would start the dog on a low-protein diet. Many vets still believe this. However, more recent information shows that a high protein diet doesn’t actually hurt the kidney; the kidney simply can’t process the protein and will eliminate it. Protein only becomes an issue in end-stage renal disease where the dog will actually feel uncomfortable with too much protein in his system. However, phosphorous is high in most high-protein foods. So it turns out that a low-protein diet will be lower in phosphorous. There are only a limited number of foods that have low phosphorous. However it is possible to feed a low-phosphorous diet, either commercial or home-cooked. What Are the Dietary Options? Vets will usually put the dog on a prescription diet, often K/D made by Hills and available only through veterinarians. Purina also makes one (NF Formula from its CNM line) as does Eukanuba (for early and late stage renal disease). The problem with these prescription diets is that most dogs don’t like them. For these dogs, you can feed a home cooked diet, or a combination. My 11-year old greyhound is picky but will enthusiastically eat food that she likes. I am feeding her a combination of K/D and home cooked. Her excessive drinking and urination stopped literally the day I started her on the home cooked regimen. The vet thinks she could live at least another year and possibly longer. A big issue is keeping weight on these dogs. It is important to keep weight on through any means possible, especially in the early stages so that the dog is in the best shape possible when later stage disease sets in. It doesn’t matter if you are feeding a low-phosphorous diet if the dog won’t eat it. In end-stage disease, you can feed them anything they will eat. At this point, they lose their appetite and the owner should be most concerned with the quality of their remaining days. The basis of home cooking is high-fat ground chuck. In supermarkets, chuck that is called 85% lean is 15% fat. The higher the fat content, the better. One market here sells 75% lean/25% fat, which is the highest far content available locally. Higher fat means it is lower in protein and thus lower in phosphorous. To get the highest fat, you could always ask a butcher. Or try a discount club like Sam’s. To the ground chuck, I add barley or rice plus vegetables. I serve a ratio of 1 cup K/D (moistened with hot water) to 1.5 cups home cooked, twice a day, to a small female. Larger dogs would get more. Although cooking is a chore, you only have to do it every 10 days or so if you freeze half of it. Lately I have been making a giant recipe that lasts three weeks. For the 10-day supply, the cooking and clean-up takes about 1 hour and 15 minutes. For the giant recipe, the cooking and clean-up takes about two hours. So I just turn on the TV or radio and catch up on the news. *Boil 7C (14 C) water. Add bouillon and barley or white rice. Simmer 35-40 minutes for barley; 20 for rice. *Spread ground beef in cake pans. Cook in oven about 25 minutes until red disappears, stirring after 15 minutes. *Cook vegetables (either microwave or boil). *Grind all together in food processor. Freeze 1/2 (five-day shelf life in refrigerator). 1C K/D mixed with hot water and 1.5C cooked food. Microwave for 1 minute; mix thoroughly. A phosphorous chart is available through http://www.consumermedhelp.com or by calling 800-556-7117. There is a K9 Kidney List on the Internet with solid information and a supportive community. To subscribe at no cost: K9KIDNEYS-subscribe@onelist.com. embers can suggest individual solutions from their own experiences if your dog takes a dislike to certain foods. But you will get lots of mail if you subscribe; this is a new list and already I am getting at least 10 messages a day. However, you may want to subscribe for a short time, which will probably cover the big issues. My dog Rocket a 15 year old jack russell. She became ill just over this past month. Through blood profiles at the vet she has been diagnosed with renal failure. I have been researching for homecooked meals when I came upon your website. I am so excited to get the recipe as she is being forced fed the kd right now and I just hate that. I will be fixing this tomorrow. Thank you so very much. 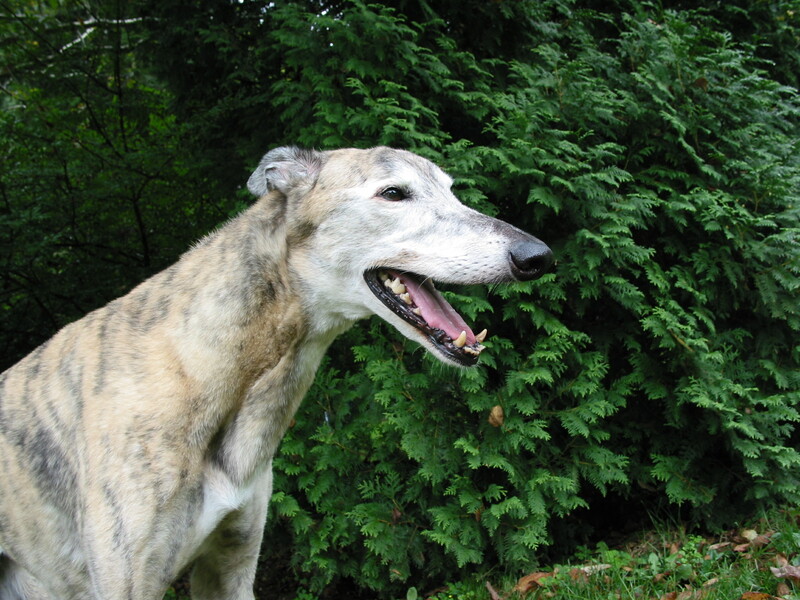 Have you tried the K9 Kidney Club; they are a wealth of information on kidney disease/failure. I just lost my dog due to a misdiagnosis of kidney failure. IT was 3 1/2 months ago and still heartbroken. Carly had kidney disease, not failure. She aspirated in the ER and I had to put her down. She was my best friend. http://home.comcast.net/~conuremom/feeding_your_dog.htm There’s a link right at the top of the page that takes you to the download. This was absolutely great to find! Our 15 yr. old grey was just diagnosed with end stage kidney disease but she isn’t really showing signs that I’ve read about. so I’m researching frantically. thank you, thank you.